The SKIL RAS900 router table marks the true definition of accuracy and precision since it has all the essential features integrated into one. All the accessories have a storage bag and the MDF top is laminated. All the necessary hardware is included in the package like router bits, fence, guard featherboard, bit inserts and a miter gauge. The router mount system is easy to attach and detach in a matter of seconds. The folding design of this router table is quite efficient since it makes it quite easy to store the router table and assemble it, when the need arises. The other model like Skil RAS800 is similar this Skil RAS900 but missing some accessories . Take a look at comparision table below to compare them . Who Is The SKIL RAS900 Ideal For ? With an ideal weight of 32.7 pounds and a compact size of 27.7 x 17.7 x 9.5 inches, you can easily carry it around without much of a problem. The efficient folding design on the legs will make it convenient for storage purposes. It has a tall fence that has laminated MDF faces, which make it possible to handle longer stocks. Cutting precision is supported by the bit height adjustment gauge. There are two containers on the SKIL RAS900 and there is a quick clamp system. The process of mounting the router is quite easy due to the fact there is no leveling required. For purposes of accurate and precise routing tasks, the two featherboards will serve as the guide. There is a bit height gauge which will enhance the accuracy of cuts as it makes up setting up easy. The accessories come with storage containers, which will protect them and keep them intact. Whether you are a professional carpenter or a DIY woodworker, this is the best router table to use. It is very easy to set up especially since there is no levelling required. The quality of the cuts is exceptional and classy and this means you will not be disappointed with professional woodworker projects. The 2 containers include a quick clamp system, which allows easy attachment and detachment of the router. 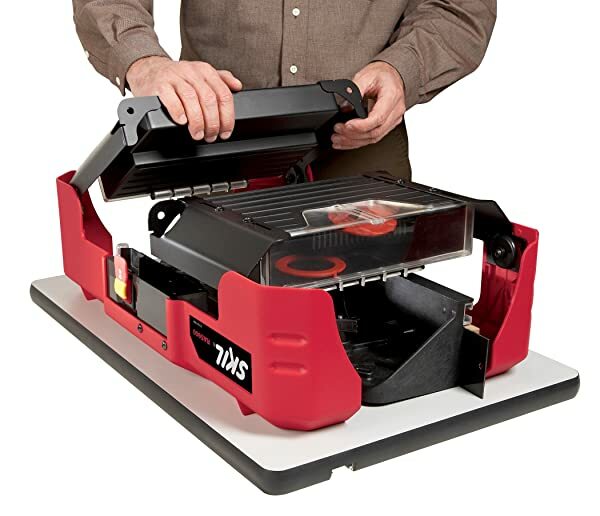 The folding design is also a unique benefit as it makes the table portable and easy to store. 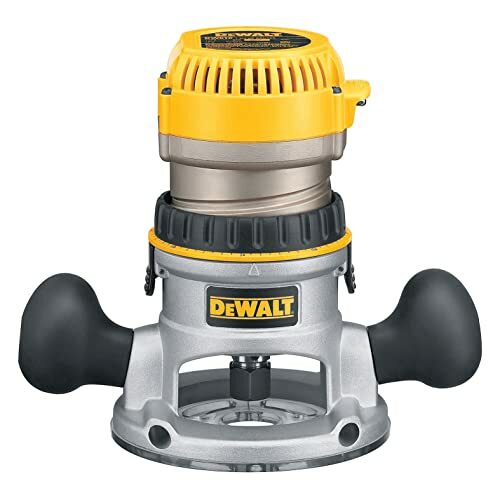 The router table works with a number of woodwork tools like the DEWALT DW616 fixed base router. This router has quick release motor latches that will make the process of changing bits, fast and easy. A good number of users are pleased with the amazing features of the SKIL RAS900, with the folding design being the main benefit for most of them. The storage compartments on the router table in an added advantage as well as a quick clamp system. This Skil Router Table RAS900 has a dust collection port, which will extract all the debris on the cutting area. The featherboards are 2 pieces, which will enhance the precision of the cuts make. The fact that this router table is preassembled will make it easy to set up with the bit height gauge helping in achieving accuracy. There is no leveling required since the quick clamp system will suffice in that it makes it easy to attach and remove the router. The starter pin is ideal for routing curved surfaces. The router table will arrive preassembled so you just need to attach the relevant parts. Put the legs and the table frame in place before attaching the fences. Use the 2 featherboards for precision and the quick clamp system will allow you to attach and detach the system. The starter pin will allow you to make precise cuts on curved edges. Follow this link to download SKIL RAS900 Manual . You should frequently clean the router table, by emptying the dust collection port. In addition to this, always ensure that all the accessories are cleaned and stored in the accessory containers. Lubrication of the moving parts and sharpening of blades is also essential. Before you actually turn in that particular very last draft, experiment with to make a reader look over your newspaper. You could have a friend, classmate, or even a parent check out your essay and point out any glaring complications. If you possess the time, it may well truly be beneficial to travel to your school’s simply writing facility or that may help with any overarching points. If you are not able to discover a reader just before the thanks time frame (for example. you place them back till the overnight earlier than! ), you could try stamping your essay and perusing it aloud. There’s an item with regards to imprinted website page that shows way more blunders, and as well listening to it aloud will aid you to choose order essay online cheap awkward wording factors or glaring issues. The RAS900 Router Table is easy to use and maintain and this makes it an ideal investment. Irrespective of your level of experience in woodwork pieces, this is the right router table as it works with varied router models. We also have reviewed the Top 10 Best Router Table Reviews for this year , please take a look if need more information . You also go back to home page to read more product reviews .